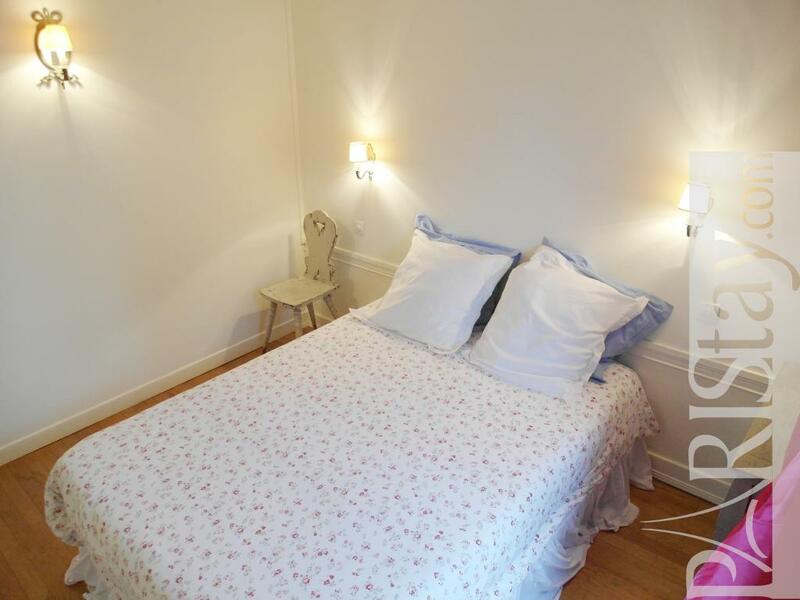 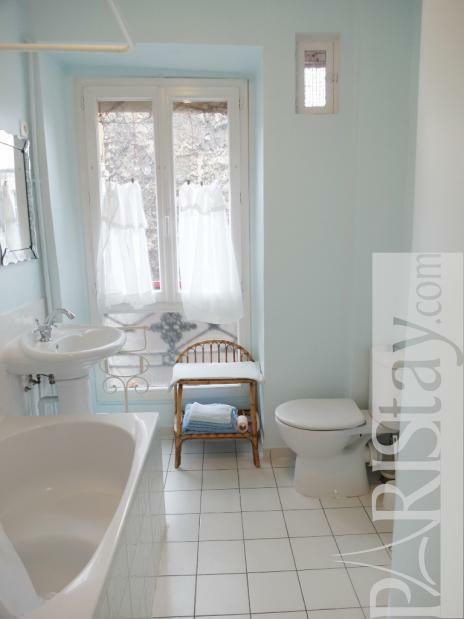 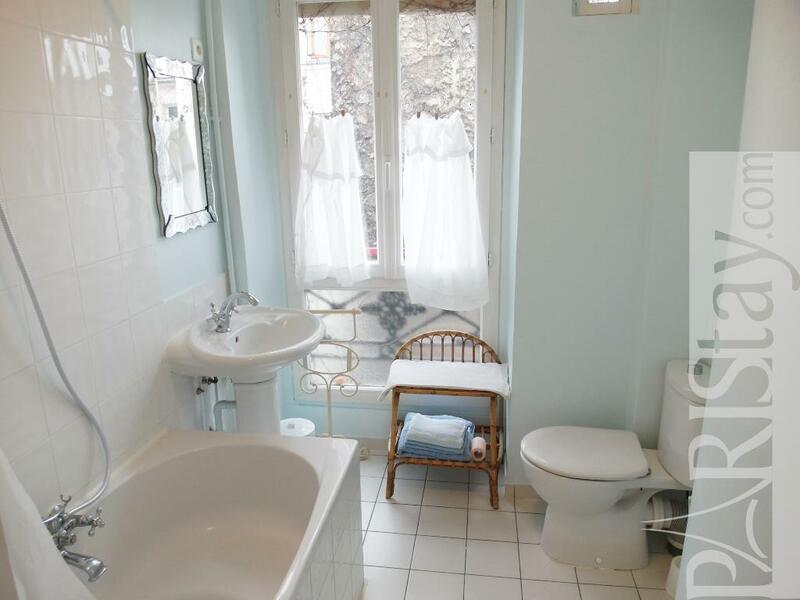 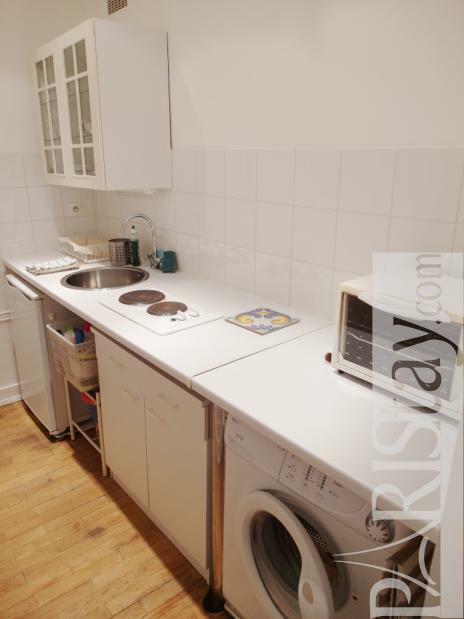 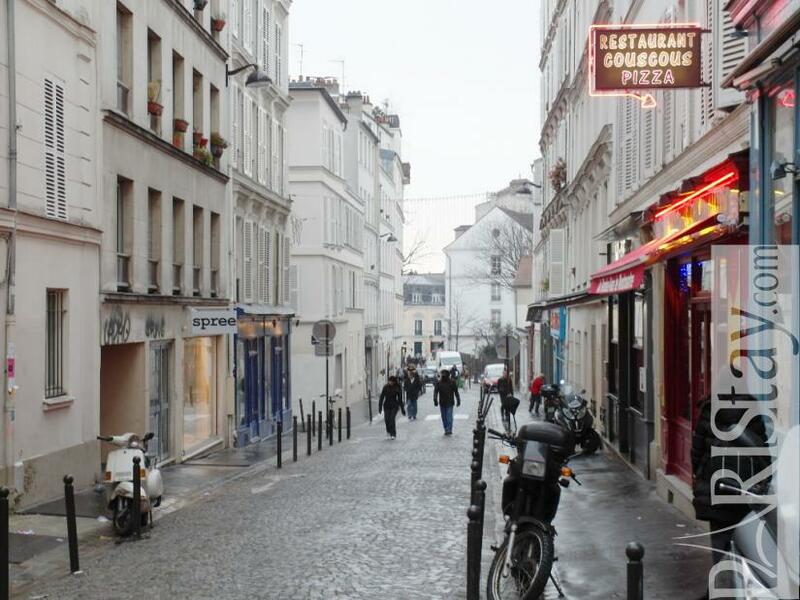 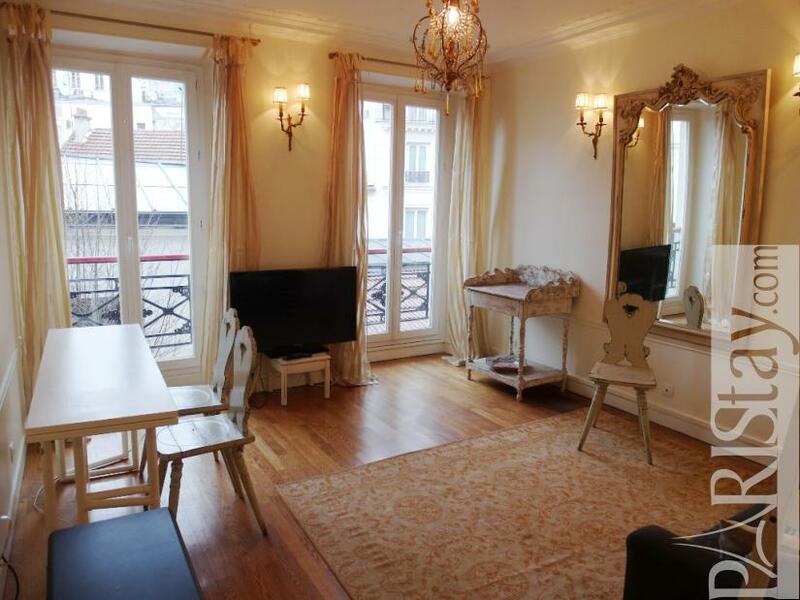 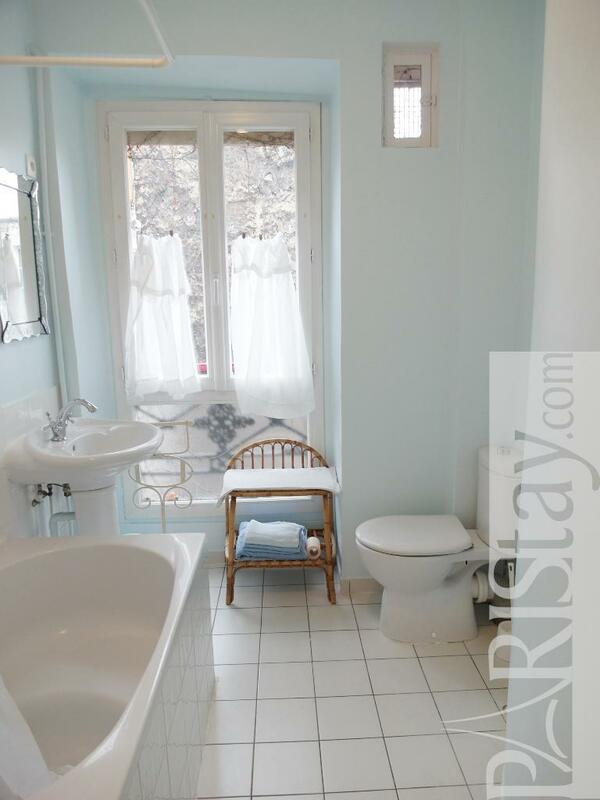 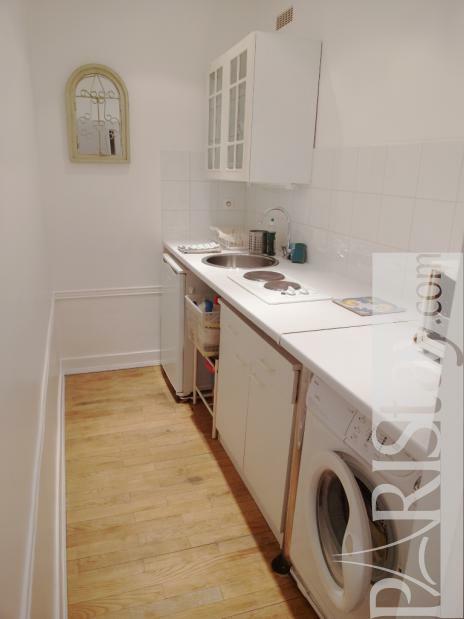 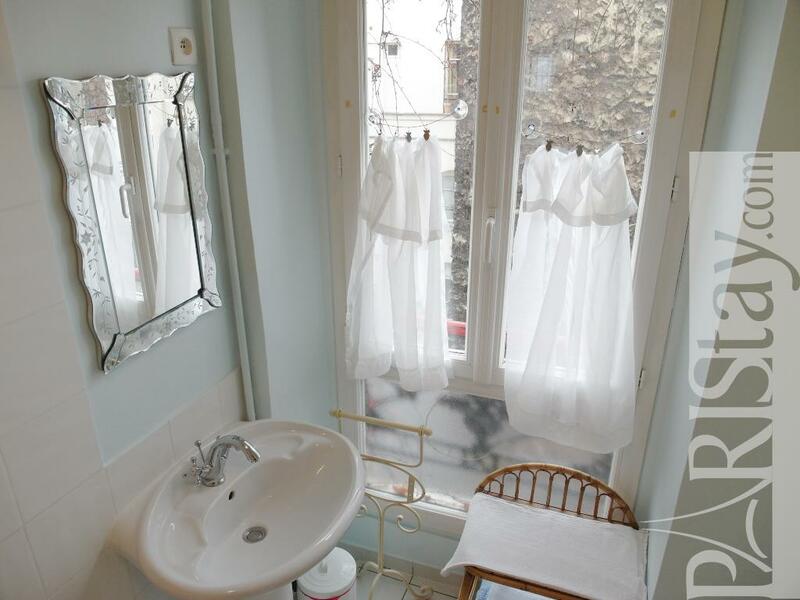 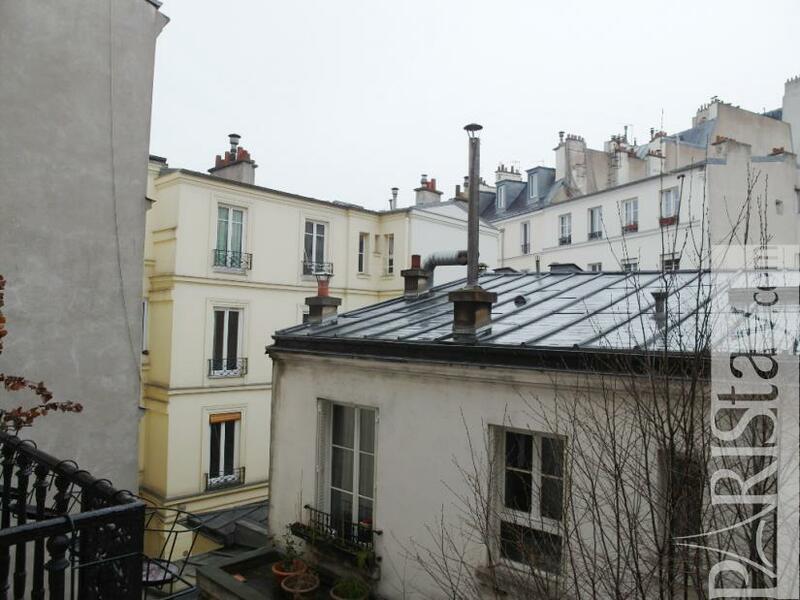 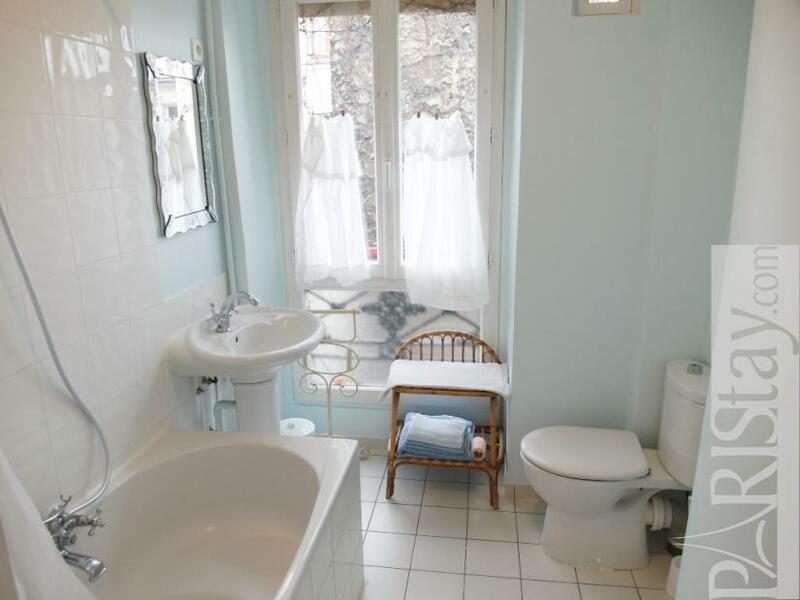 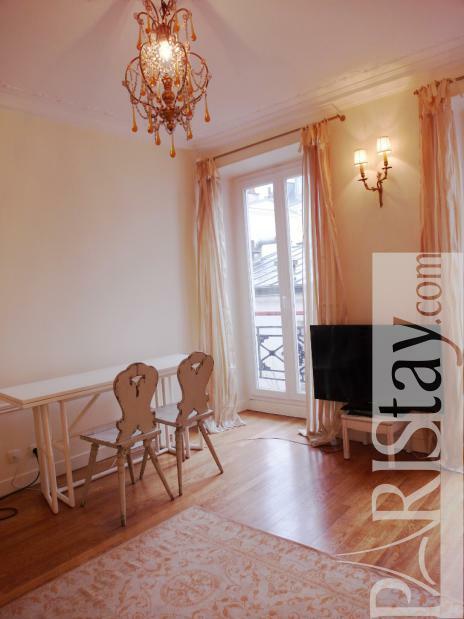 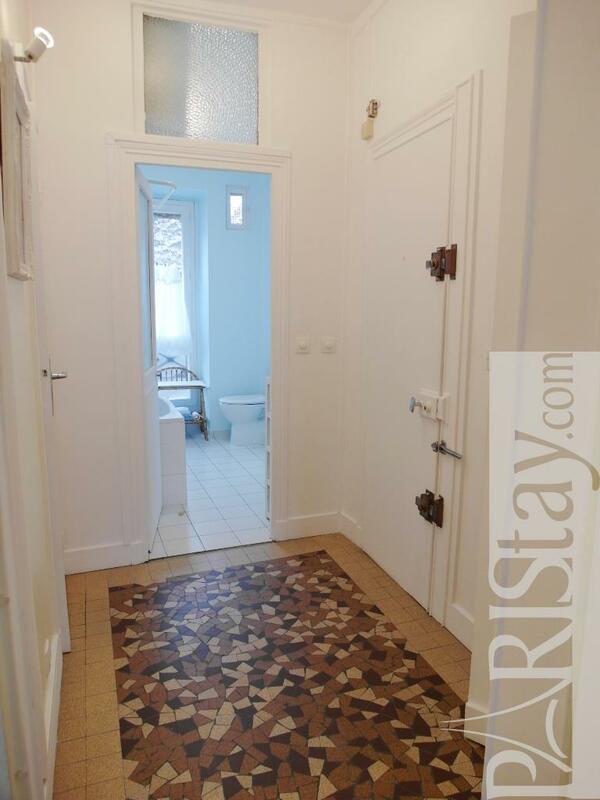 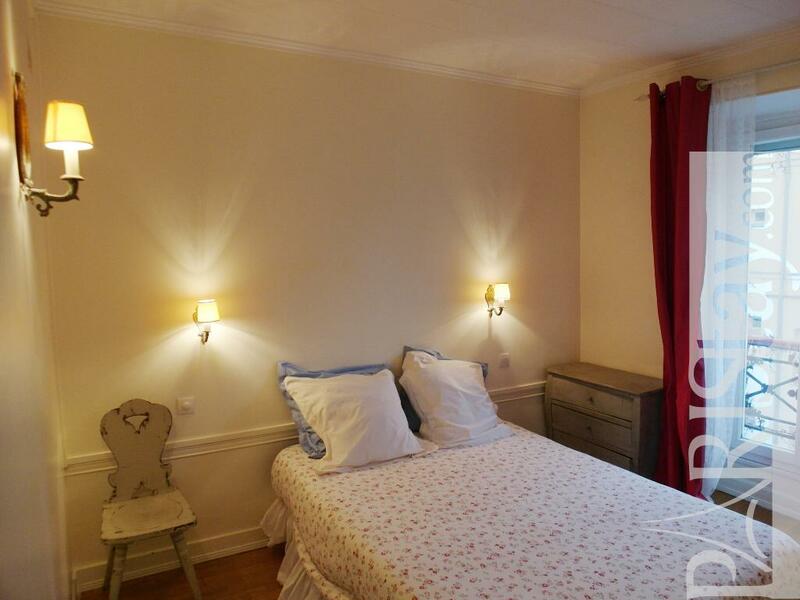 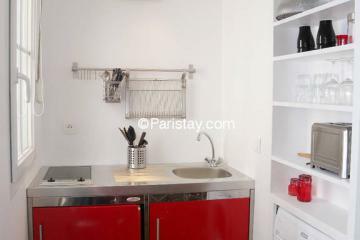 Quiet one bedroom apartment rental in the lovely Paris Montmartre, 2 mn walking from Abbesses Metro and bus stations, so convenient to get everywhere in Paris. 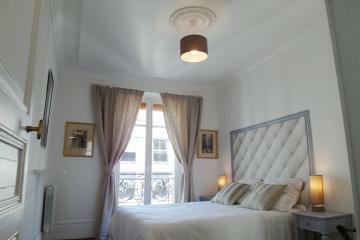 You'll live in the heart of this famous village, next to typical shops, restaurants and lively markets. 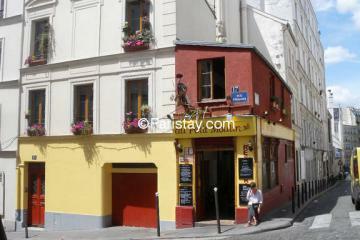 The apartment is located in an authentic building, 2nd floor on courtyard, and offers a cute athmosphere. 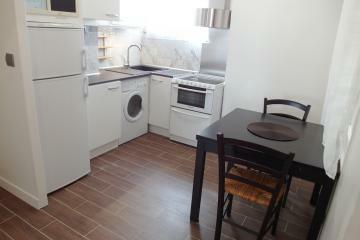 It has been totally renovated with quality equipment and furniture. 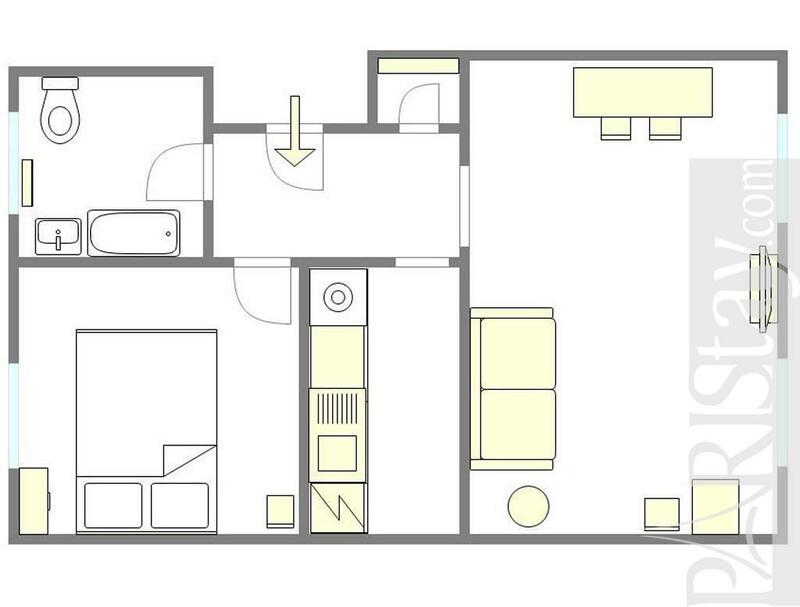 Spacious living room with sofa bed, nice bedroom with king size bed, bathroom with bath, walk-in wardrobe... 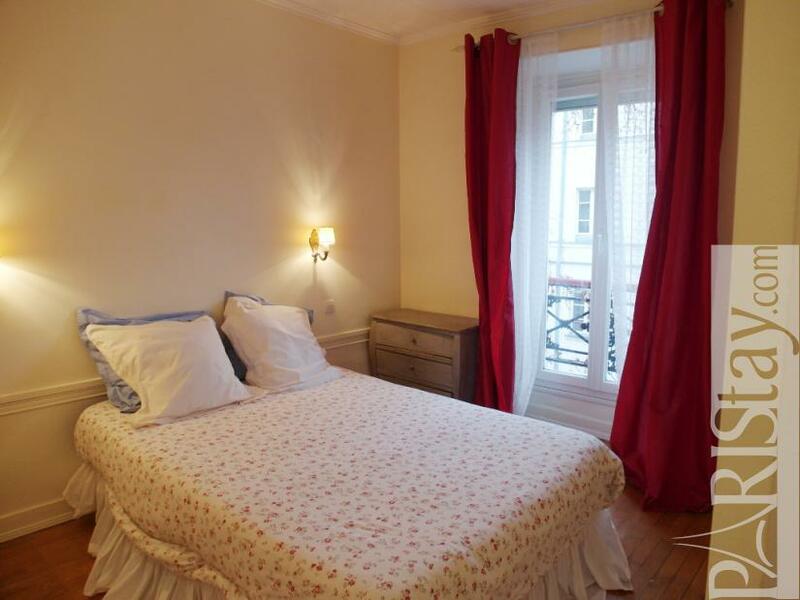 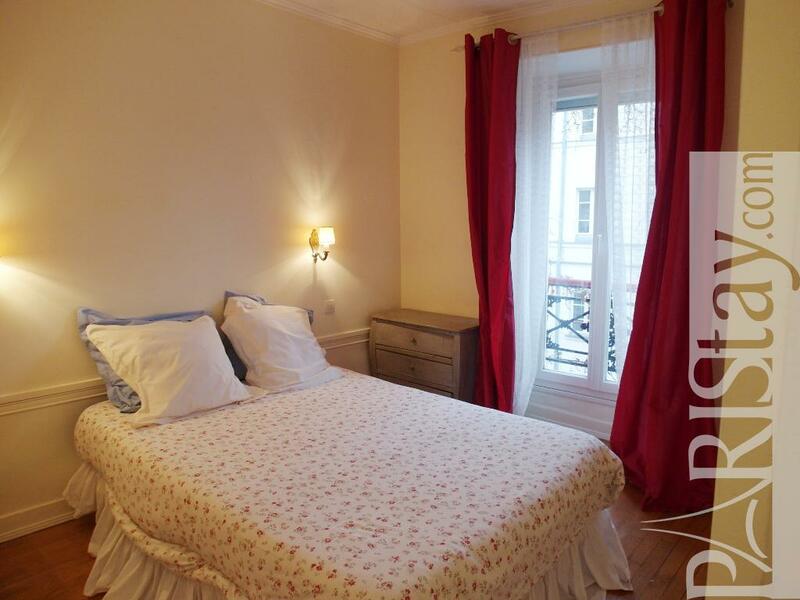 Perfect for a long term stay in Montmartre! 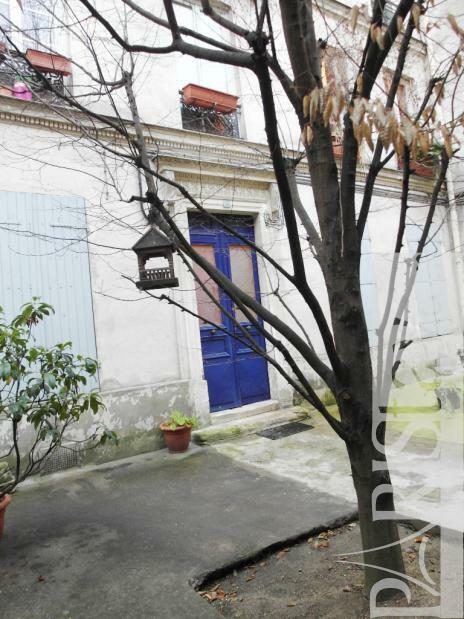 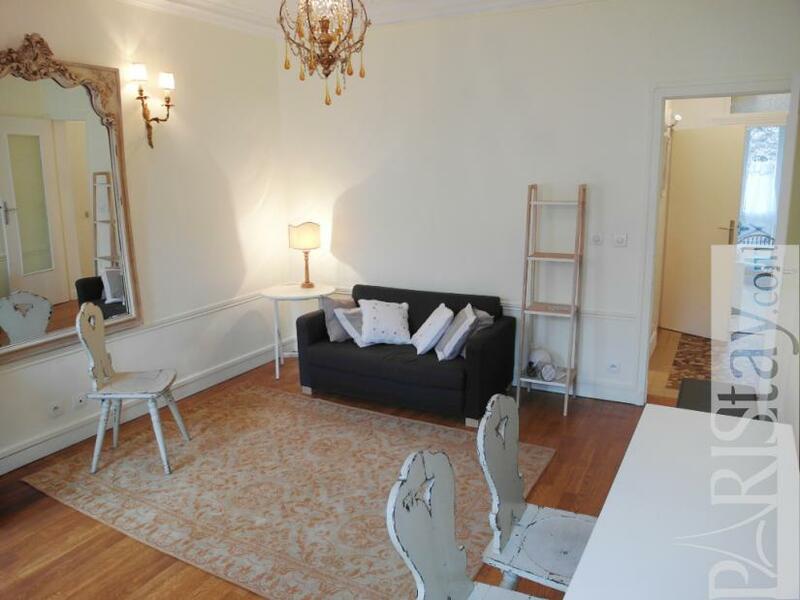 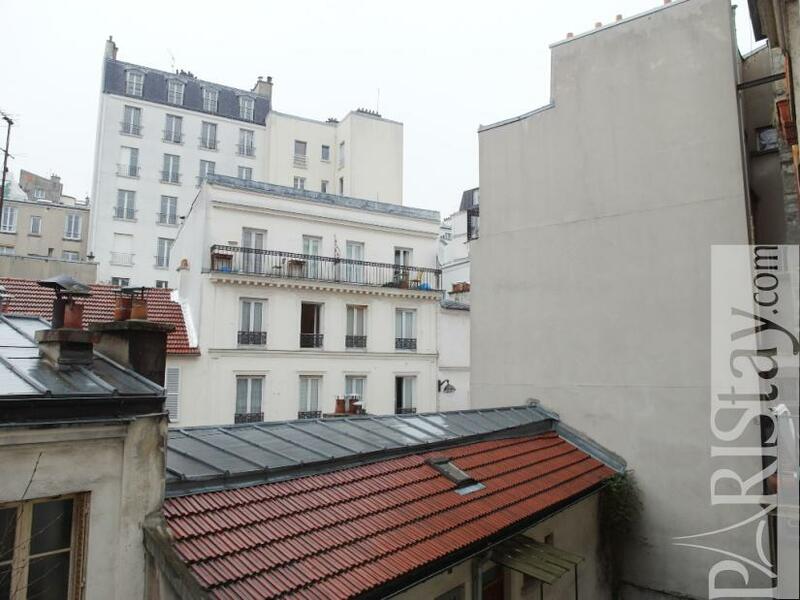 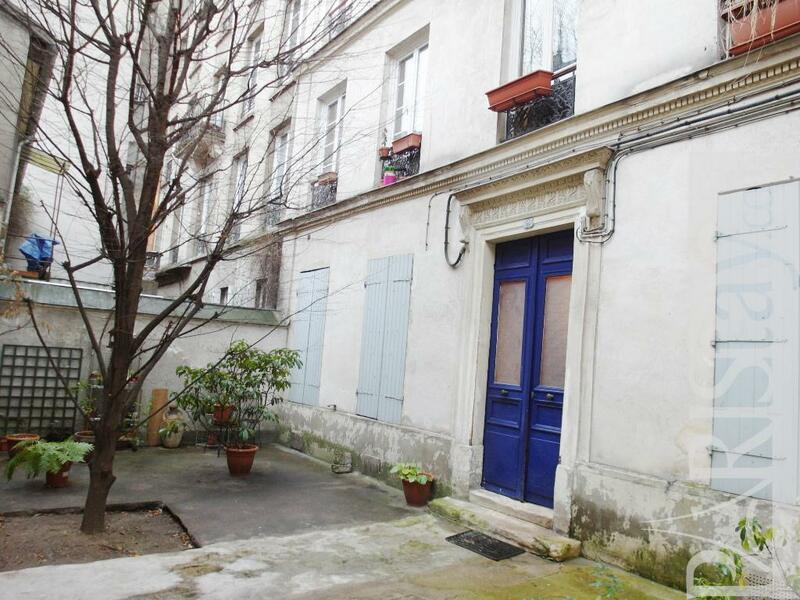 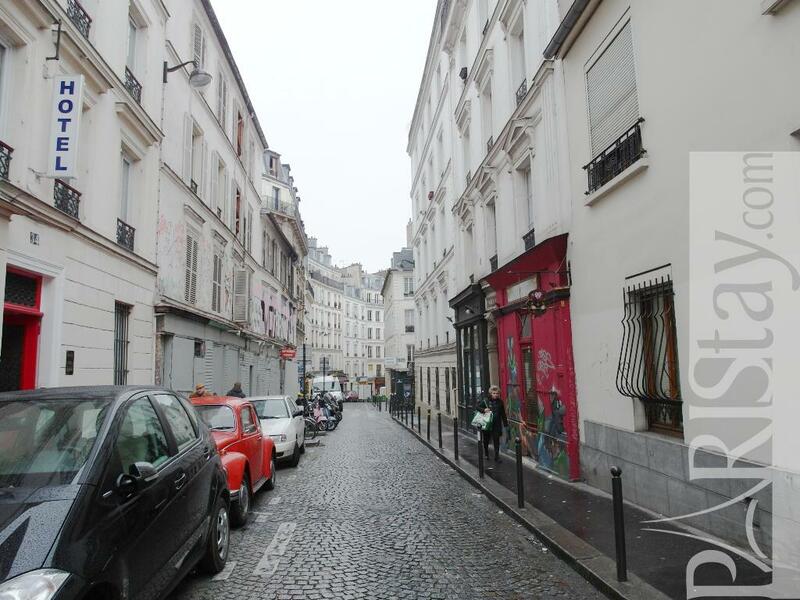 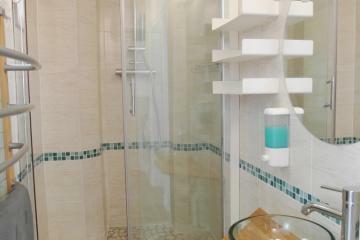 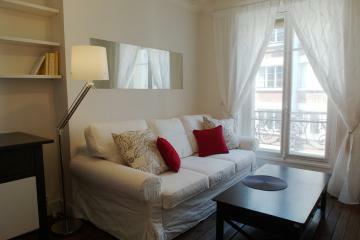 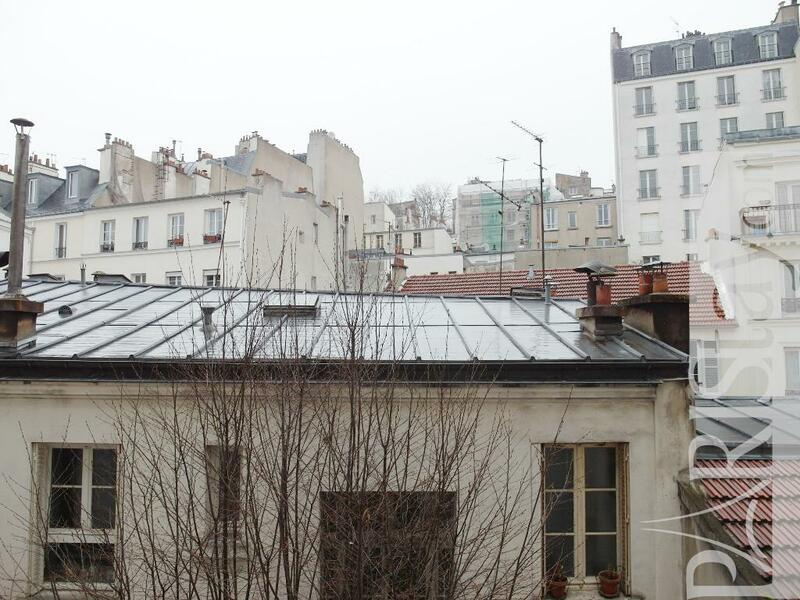 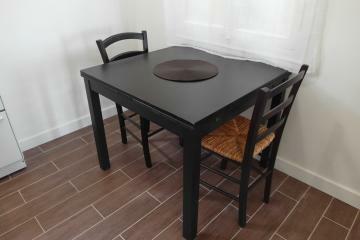 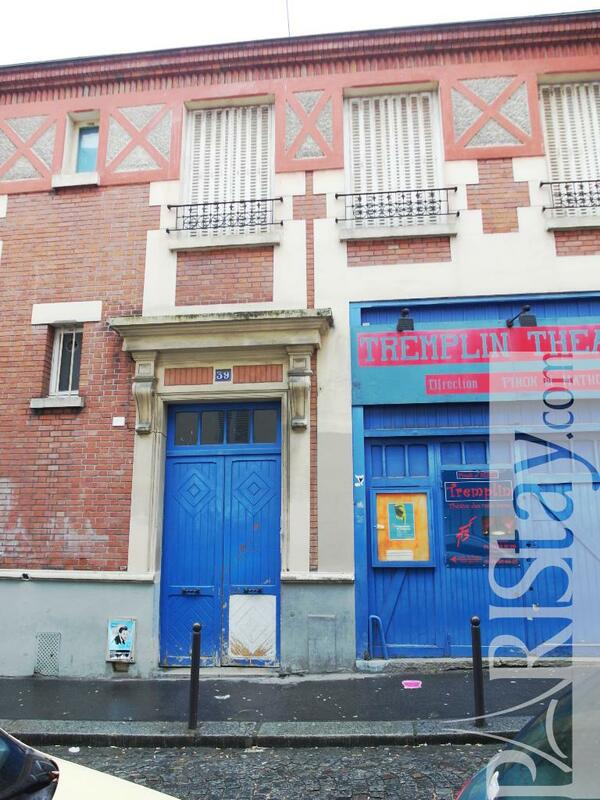 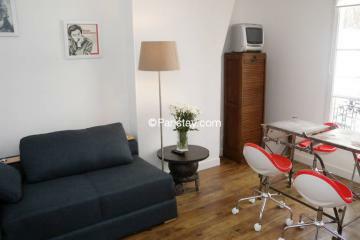 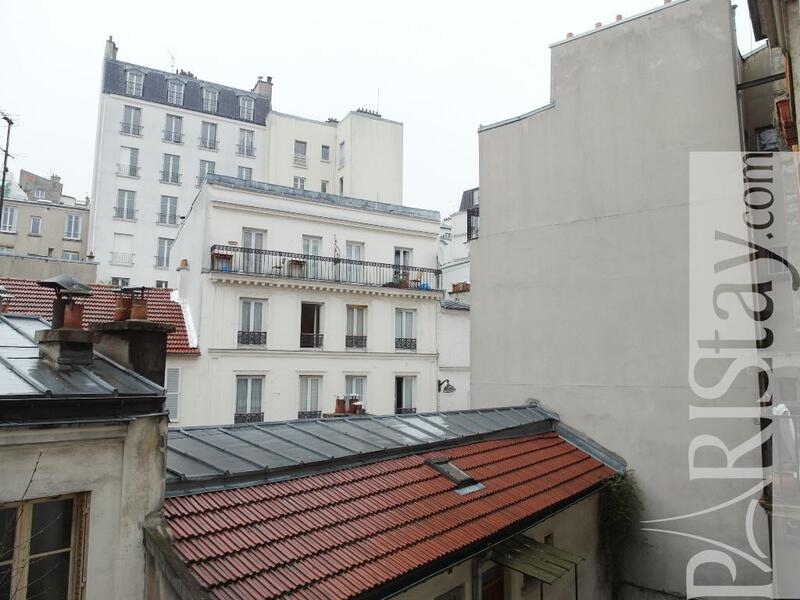 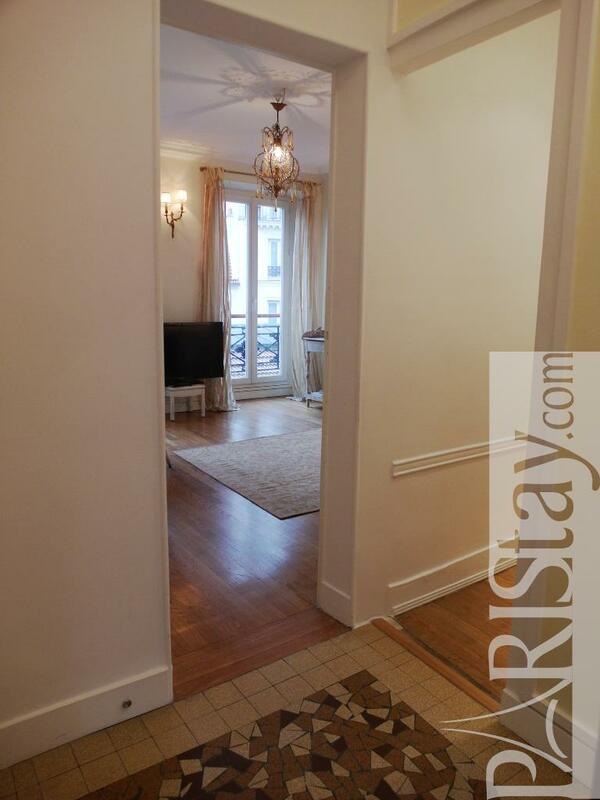 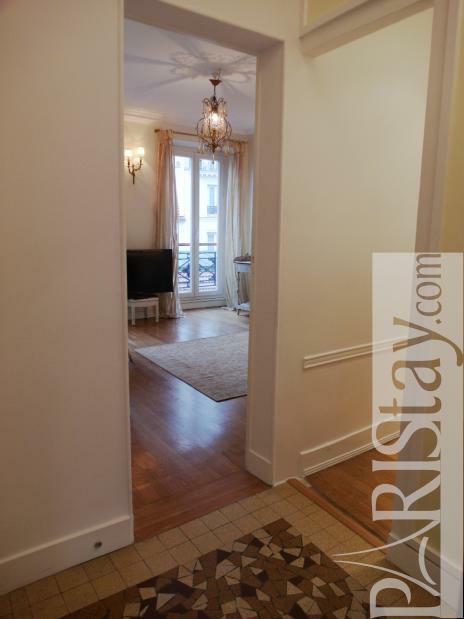 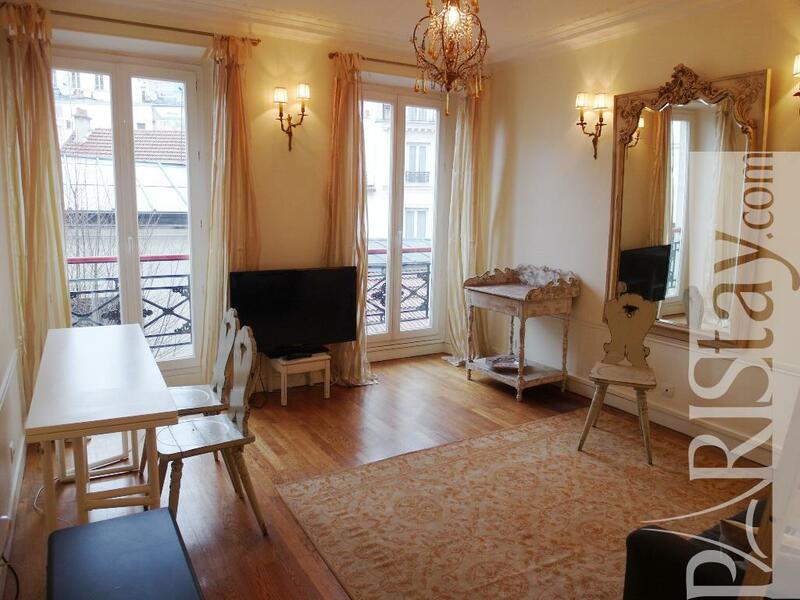 1870's Building, 2 nd floor, without Lift, 1 bedroom Appartement, furnished, Approx: 40m² / 430 Sq.Ft.